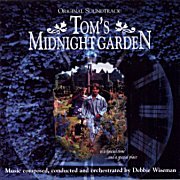 Debbie Wiseman’s symphonic score to Willard Carroll’s screen version of Tom’s Midnight Garden is every bit as magical and mysterious as Philippa Pearce’s Carnegie Medal-winning children’s novel. The melodic and imaginative orchestral writing frames “After Always”, the film’s tender theme song, performed by Barbara Dickson with lyrics by Don Black. 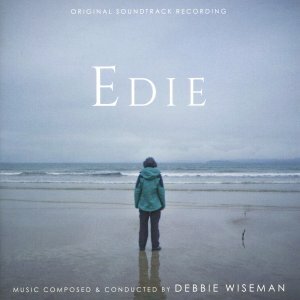 Not only is this delightful score by Debbie Wiseman a career high for the composer, it also contains her most unashamedly romantic central theme. Encouraged by director Willard Carroll to come up with a soaring piece, she has more than delivered here. A real heart-tugger full of swelling emotion and airborne strings, it kicks off the album perfectly, setting the scene for the magical adventures to come. The theme is developed further in the second cue, Extraordinary Discovery, and later also forms the basis for the song After Always, with lyrics care of Don Black. 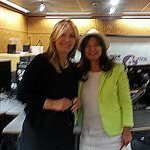 Movingly performed by Barbara Dickson, it’s a movie song that for once perfectly fits into the scheme of things, instead of being there simply to sell albums. Full of real joy, this is a beautifully orchestrated and structured score that is guaranteed to bring a smile to the lips and a tear to the eye, no matter how bad a day you’ve had.